Ever wanted to browse and manage files stored on your NAS with your iOS® and Android™ mobile device? 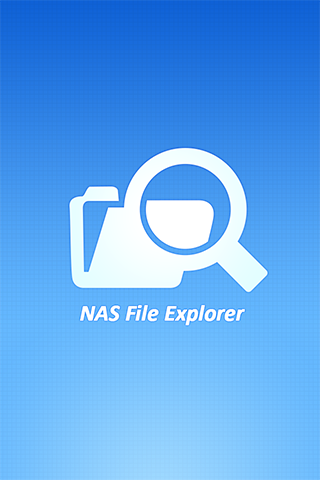 The free NAS File Explorer app is right for you. Add as many NAS units in the NAS File Explorer and conveniently connect to any of them in the log-in page. The file thumbnails help you easily identify the file type at a glance. You can move, copy, rename or delete files on the NAS without computer required. Easily check file transfer status and shared files, upload files, and stream content from the NAS to DLNA/AirPlay devices. Browse and play the music, photos, and videos on the NAS. No more worries about the space limitation of your mobile device. Freely unzip files to read file content, or zip files for easier sharing. Automatically upload photos to your NAS whenever you take new photos. It works as a real-time backup of your precious photos. Download documents, photos or music from the NAS to your mobile devices for offline reading. Create download links for shared folders or files to share via email, SMS, mobile apps such as WeChat, Line, WhatsApp*, or email the files as attachments. * Currently available for Android. Control the music currently playing with the playback bar to enjoy more flexibility and convenience.